Tear troughs are a complex area to treat and should only be attempted by experienced injectors. When performed correctly, dermal filler in the tear trough can reduce the apperance of tiredness under the eyes and improve the sunken effect that happens as we age. Tear troughs treatment should only be undertaken by experienced practitioners. As you will see – problems can occur as a result of either poor filler choice, a lack of understanding of patients anatomy or poor patient selection. At Cityskin we offer a dermal filler correction service where Mr Koppert with review and correct patients who are unhappy with treatment at another clinic. If you feel as though you need help then please book an appointment with Mr Koppert at Cityskin Hawthorn. Problem: Even as infants we have a subtle tear trough and the aim of treating the under eye area should not be to eliminate the trough entirely. Overfilling the tear trough can lead to lumps, often seen when smiling or when looking at the tear trough from above. 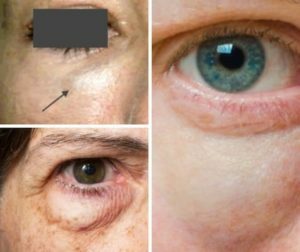 The photo shown here was discussed by the International Academy of Cosmetic Dermatology and shows a patient in her 50s who has been over-treated with dermal filler. As injectors we often see patients who have had filler poorly placed in the tear trough, often with a cannula, causing a sausage shaped lump under the eye. Solution: Dissolve the filler and start again. As hard as this is to hear, overfilled tear troughs do not look good and it is best to dissolve the filler and build up the area again using less product. Problem: The ‘Tyndall’ effect is a phenomenon seen when filler is injected too superficially under the skin. When we treat the tear trough the filler should be placed deep under the skin. If placed too superficially the filler can give a blue / green discolouration which is seen easiest in daylight. Solution: Filler placed too superficially should also be dissolved. We can use an enzyme to break down the filler. After a week come back so we can place the filler in the correct area. Problem: Some patients can experience swelling in the mid cheek or under the eye after tear trough filler. The problem here is that the filler has been placed above the orbicularis retaining ligament or too superficially under the skin. 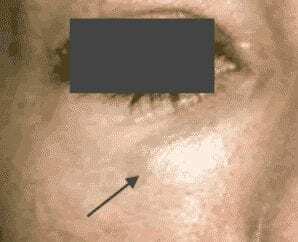 Dermal filler attracts water and this can cause intermittent swelling under the eye if the filler is placed too closely under the skin. Solution: Again, the solution here is to dissolve the filler. Once the dermal filler has been dissolved we review you after 1 week and decide whether you are a good candidate for filler under the eyes. The dermal filler should be placed deep under the skin, under the retaining ligament to reduce the chance of swelling. We have to be careful in our choice of dermal filler product as they vary in how much water they attract and how much they have the potential to swell. 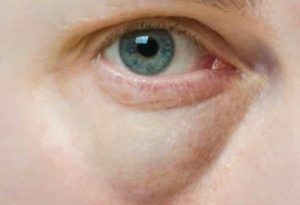 Which patients may not be suitable for under eye filler? Patients with loose skin under the eyes may be a better candidate for surgery rather than dermal filler and we can assess this once the dermal filler has been dissolved. The patient shown here is in her 60s and has loose upper and lower eyelid skin. This is a good example of a patient who would be more suitable for surgery such as a blepharoplasty to reduce the under eye skin. Dark circles under the eyes are difficult to treat and treatment with dermal filler will not remove the pigmentation. Dark circles are more common in patients with darker skin types, such as the patient in this image who has an Indian background. Darkness under the eyes can be caused by frequent rubbing for example in patients with hayfever or eczema. Dark circles under the eyes can be treated using laser or chemical peels to reduce the apperance of the darkness but this should be performed by an experienced professional. Dermal filler can be used under the eyes in patients with dark circles – placing filler in the tear trough can change the way the light shines off the skin and reduce the appearance of darkness. At Cityskin we have practitioners with years of experience Cityskin who can treat tear troughs. 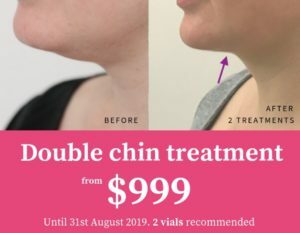 You can also book to see Mr Erik Koppert at Cityskin Kew who offers a dermal filler ‘second opinion‘ service where he can correct problems as a result of treatment at another clinic.